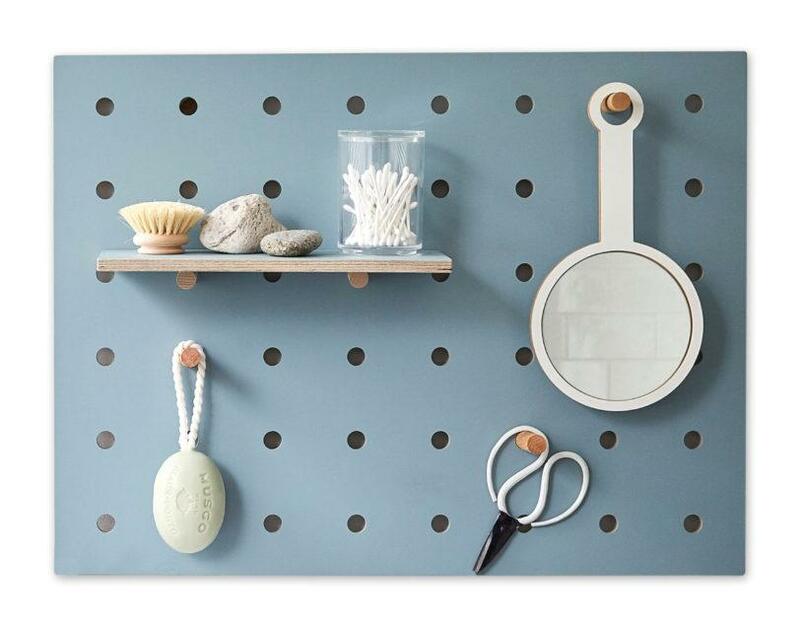 Peg-it-all little Blue Wall mounted storage panel in Birch Plywood with 1 large shelve and 6 straight wooden pegs. Shipped direct from Kreis Designs in the UK. Peg-it-all little Wall Blue mounted storage panel in Birch Plywood with 1 large shelve and 6 straight wooden pegs. The new Peg-it-all range includes shelves and pegs of different types all of which slot into the main board giving an endless range of storage options. 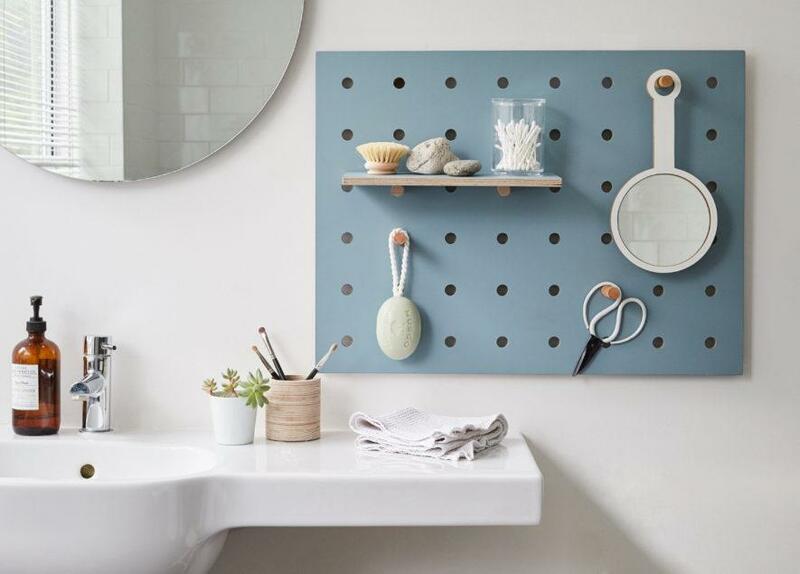 Suitable for the kitchen, study, children’s room or hallway, the new Peg-it-all can be cut to size to fit any awkward space such as a kitchen splashback or under the stairs.